Extending Accenture Strategy capabilities in upstream oil and gas. On November 1, 2015 Accenture completed its acquisition of SBC employees and knowledge assets, strengthening our ability to help the world’s major energy exploration and production companies achieve greater competitiveness and growth. In particular, Accenture Strategy is now better positioned to support upstream oil and gas companies to enhance operational agility, accelerate their digital transformation and improve their portfolio optimization. Returning the oil and gas industry to the era of superior returns. Deepening and lengthening relationships in capital projects. Muqsit Ashraf helps Oil and Gas companies transform their strategies and operating models to elevate their performance and be better prepared to face the multifaceted energy challenges of the 21st century. He specializes in end-to-end lifecycle of unconventionals, in developing new business models for operators and service companies, and in designing and implementing large-scale transformation programs. He publishes frequently on these topics. Muqsit is based in Houston, Texas. Jean-Marie Rousset specializes in helping Oil and Gas operators, Automotive and High Technology Industry players with strategy, human resources, organization and supply chain projects. He advises clients with strategy, organization and capability transformations and restructures to achieve growth, reduce costs and enhance competitiveness. 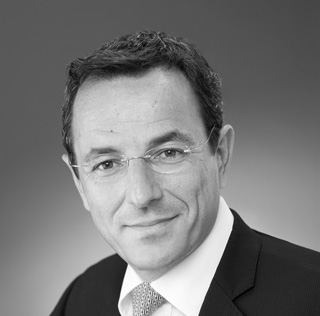 Prior to joining Accenture Strategy, Jean-Marie was with Schlumberger Business Consulting for more than 12 years. He is based in Houston. Thinking about the digital future: Resolving the conflict between precision and diversity. Let’s talk about it on our blog.